NEMA 4 Switch is widely used for engineering processes. We at CTI Electronics manufacture these switches to the finest quality ever available. These switches are large in size and are OEM based. Usage of these switches can be done to replicate the functions of the mouse. One of the striking features is that the operator can access these switches when using gloves too. Safety of the user is the primary concern be it any engineering process, we have given special preference for operation of switches. The surface is smooth and the user can grip it properly even after wearing thick and heavy gloves. In terms of stability and durability all CTI products last long, they are perfect and tailor made. Gray or black colored silicon rubber molding is available that can be used as per your needs. These two colors are well seen by the user even in harsh conditions. Use of gold plating is done so that these NEMA 4 switches perform extremely well even in worst operating conditions. Ribbon cable is also done which contributes in the overall perfection of the switch. CTI's SYN-Proof™ coating is given for protection against solvents and oils. Exposure to oils and solvents is common for engineering processes, to prevent any type of problem or breakdown it is coated with our patented technology. 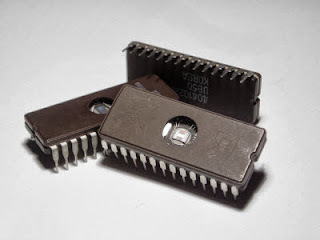 We have our own website which is www.CTI Electronics.com. Feel free to give us a call and we will explain you all the features and how you can benefit from these switches and other products. We also manufacture high end OEM Switch which can be used for various industrial processes. CTI Electronics adheres to international standards which yield out maximum performance and deliver stability and reliability.